cookies, preferably with chocolate oozing out. doesn’t look like the blog is updated anymore. is the link to the original post. cookie sheet (should make 24 cookies). Bake for 10 minutes. Cool. cookies or so. I don’t even think they made it an hour they were so good. P.S. 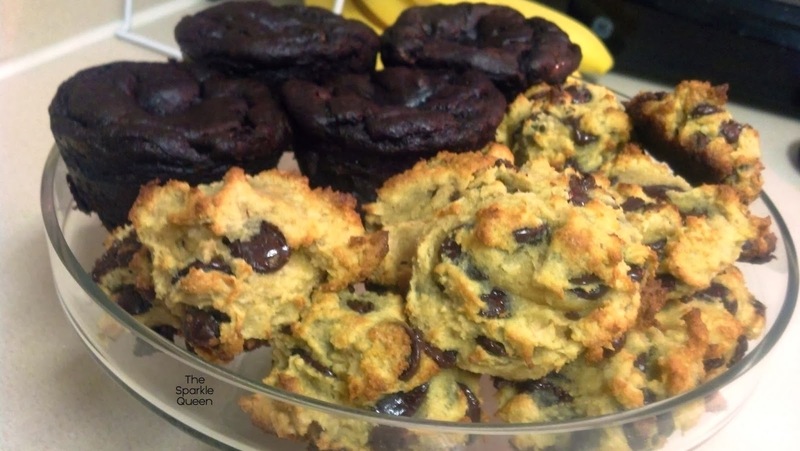 – the cookies are pictured next to some insanely yummy chocolate muffins…let me know if you are interested in the recipe! Haha yeah, we downed these unbelievably quickly. But now and then it's totally worth it! These look soooo delicious! Definitely gonna have to try them out. I do love a good chocolate muffin too so I'm all for you posting that recipe! Thanks Phoebe! I hope you try them 🙂 I'll make sure to share the muffins soon!